Dealing with banking manually is a time sink for small businesses. 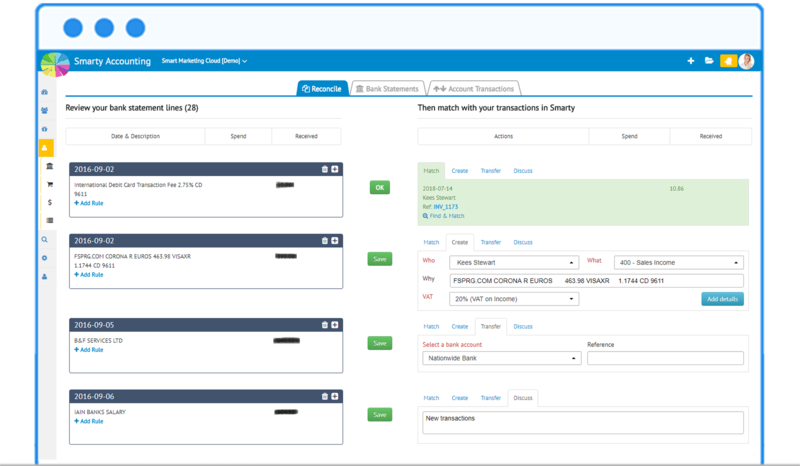 Smarty Accounting software bank reconciliation features mean that transactions will be updated day to day, reducing the work you have to do transferring this information manually. Furthermore, you will be able to differentiate between different types of incomings and outgoings, using easy catagorisation methods. Reduce the time spent on daily admin and manual data entry by automatically importing all bank transactions straight onto Smarty Accounting and have them auto categorised at a single view of where money is going and coming from.